Is it time for your corporate retreat once again? Where will you go this year? Why is it best to get out of the office? There are so many questions people ask while planning a corporate retreat. Some look forward to getting away, and others dread it. How can you make your next one the best ever? 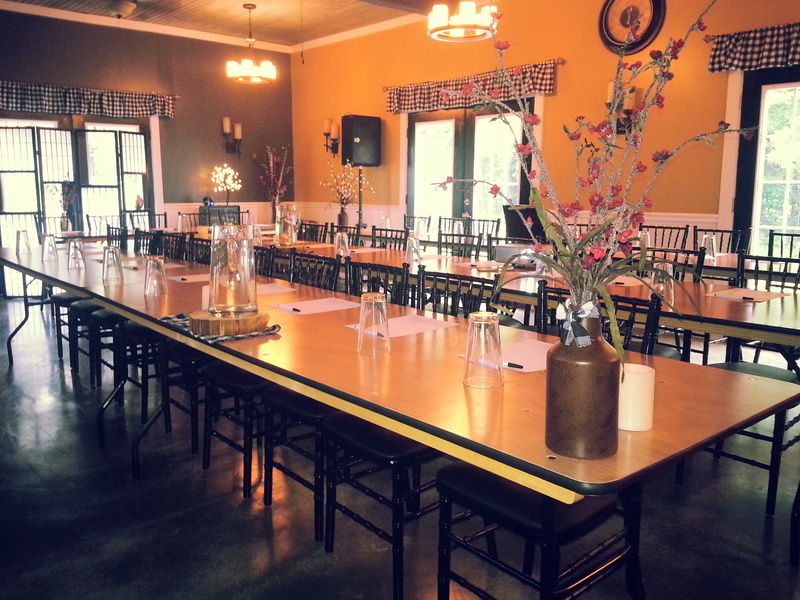 Hold your next corporate retreat in the countryside! There’s something so relaxing about driving down a country road flocked with trees or fields on both sides. The farther you go, the less you think about the hectic rat race of the place you just left. You find yourself breathing deeper and looking at the leaves and actually noticing their color. You see the wind is blowing them around. Of course, you’re also watching out for the deer that think they can cross the roads anywhere and not just where the deer crossing signs are! The creative juices start to flow as you start to relax. Then there’s the fresh air. Once you get settled in the countryside venue, you get a drink and walk around a bit outside to stretch your legs from the drive. You notice something – the air smells different! That’s the country air! Many don’t realize what good, fresh country air smells like. Did you know we absorb more minerals through the air we breathe versus what we eat? That fresh country air is full of minerals and oxygen from all the surrounding trees! Your mind starts thinking. You want to take deep breaths. Then ideas start to pop into your head. Maybe they are brand new or maybe they’re pieces of the professional puzzle you’ve been working on for months starting to fit together! Your meeting starts, and you’re surprised at how awake and energized you feel. The first break comes and you rush outside again to look at the surrounding trees and smell the air once again. It is just so relaxing. When people are relaxed, they talk more and think more deeply. That is the key to getting great minds together to come up with new ideas. They need a place where they can relax and talk things out, building on each other’s ideas. If this countryside venue is attached to a winery, it makes things all the better!